There’s some thing so comforting about baked potatoes. 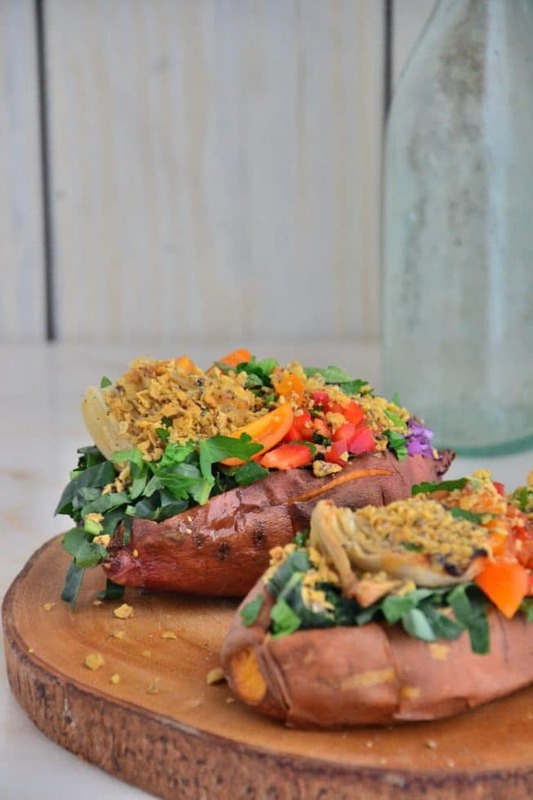 I’m not talking about the white bland baked potatoes – I’m talking about the natural sweetness of sweet potatoes and how tender and delicious they are with minimal effort. Minimal. There’s not much you need to do to make a sweet potato taste good, folks. 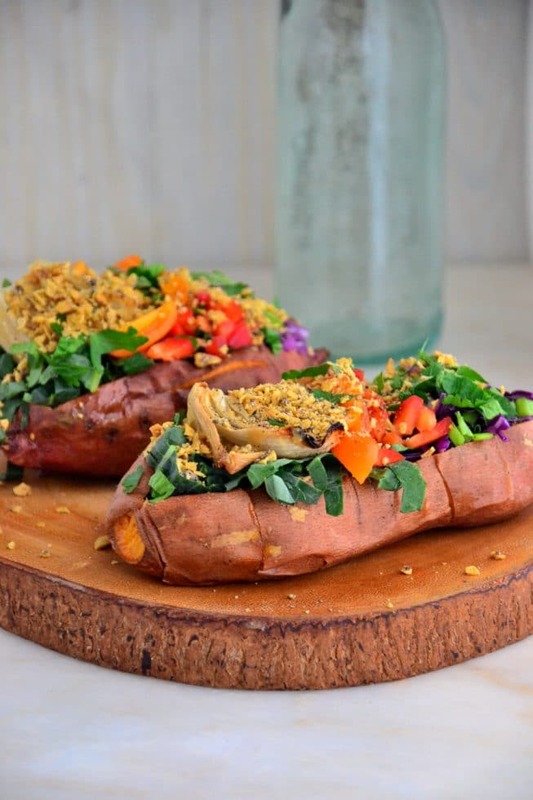 And so today I’m sharing a recipe I created last week for the easiest stuffed sweet potatoes that are full of protein, fiber and healthy fats. You can serve these babies as a meal with a side salad or roasted veggies and a drizzle of extra-virgin olive oil on top or you could serve these as a snack in afternoon. The way I like to eat these is as an appetizer. I’m making this recipe again next week when I’m entertaining because they came out so beautiful and I know they’ll look lovely on a large serving platter with a sharp knife for easy cutting and nibbles. Let’s go back to sweet potatoes for a second. I like to roast up a bunch of sweet potatoes for my clients on Sundays and store them in sealed containers in their fridge throughout the week. (And I admit I actually like eating cold sweet potatoes with a drizzle of almond butter, similar to this roasted butternut squash with almond butter drizzle). This is such an easy way for you to get fiber and protein into your day. 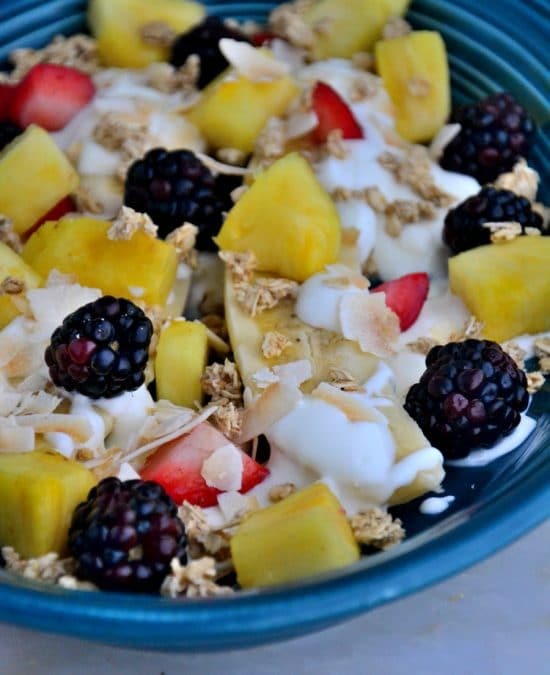 Want to know an even better way to add more fiber and protein? I thought so. Hint: it involves my favorite whole grain, gluten-free and uber fabulous cereal. I’m a huge fan of Nature’s Path. Actually, I’m sort of in love with Nature’s Path. They’re a brand that I truly trust and admire- they’re a family-owned company full of incredibly warmhearted people and I love seeing their team every chance I get. 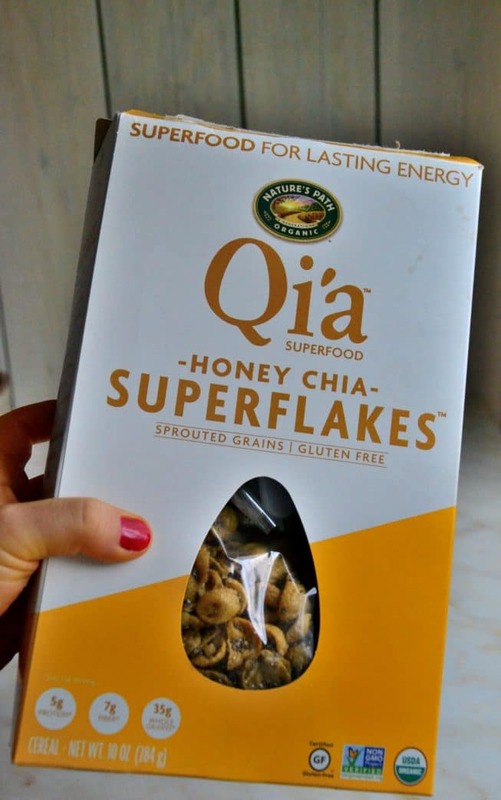 Today, I’m sharing a recipe made with their amazing Qi’a Superflakes Cereal because, well, my clients are super duper obsessed with this cereal and I wanted to create another fun way to serve these pretty flakes other than poured out of a box into a bowl with some almond milk and strawberries. Catch my drift? 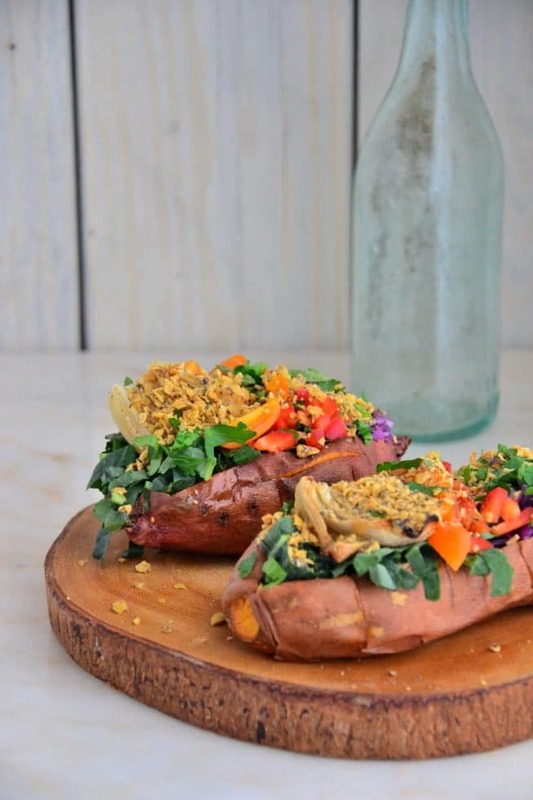 They’re all about simple things you can do to make your life more nutritious and delicious so adding their superflakes cereal to this sweet potato recipe is a great way to amp up the nutrition even more! 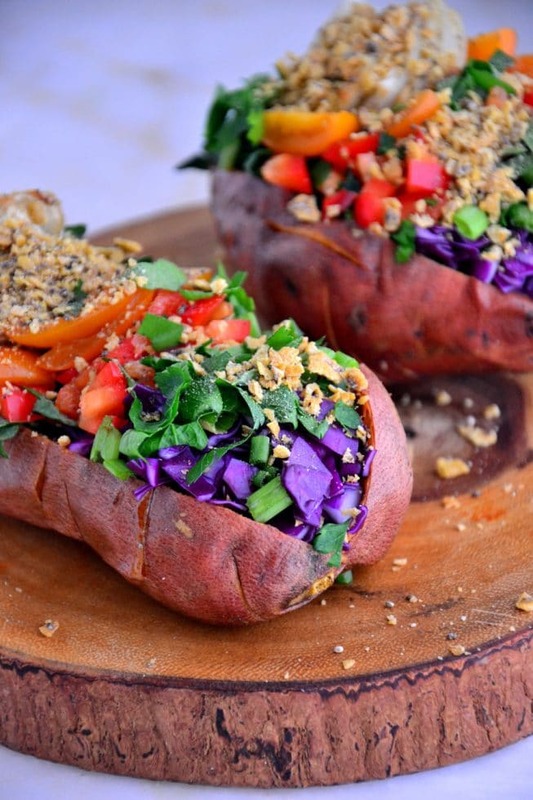 Bet you never thought you’d be adding cereal to your baked potatoes, did you? You can go ahead and toss those nutrient-void breadcrumbs that are hanging out in your pantry and replace them with something much more nutritious. 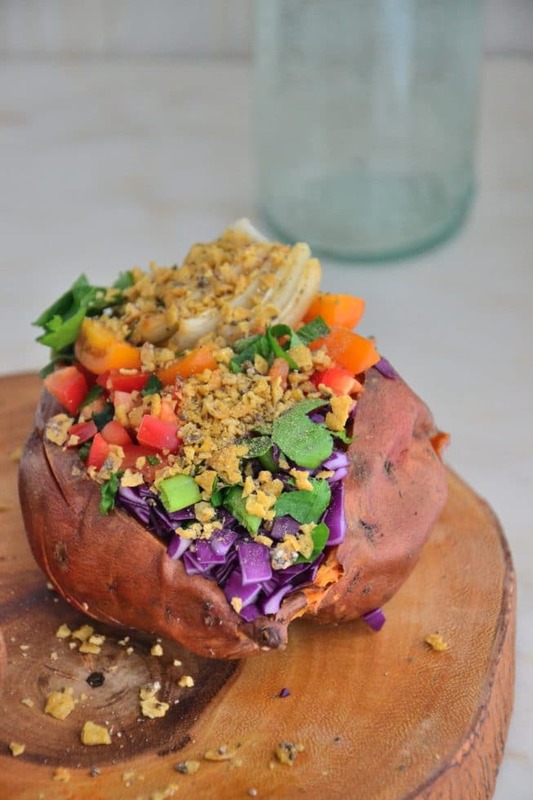 Think of it as jumping on the superfood bandwagon with me as you enjoy these fabulous baked potatoes. 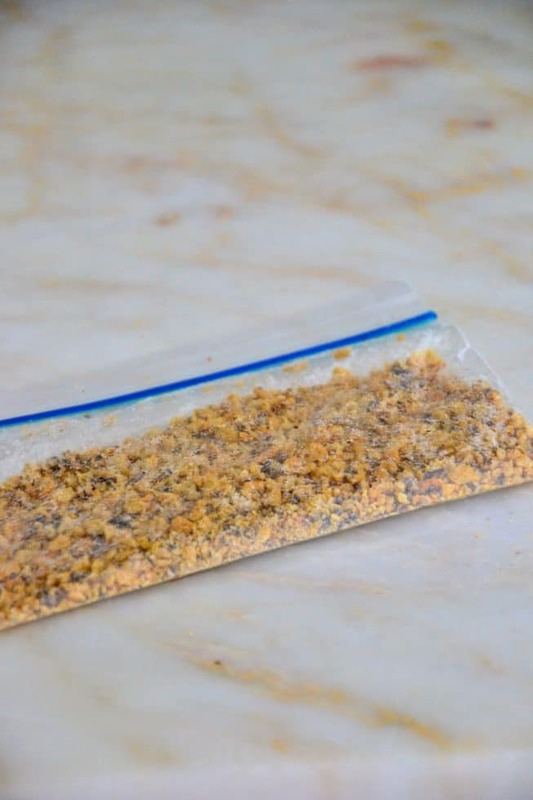 So, what I did here was toss some of the Qi’a Superflakes Cereal into a seal-able bag and crushed them with a large spoon until they were very fine crumbs- sort of like breadcrumbs but a wee bit bigger. Then, I tossed a few sweet potatoes in the oven AND as I mentioned on instagram last week, I figured out a new way to get sweet potatoes So super tender and moist and mushy (good mushy, I promise) so that they melt in your mouth. Heaven. H-E-A-V-E-N. You’ll never go back to roasting dry sweet potatoes ever again after this trick. Trust me. So, once the sweet potatoes are out of the oven, all you need to do is let them cool for a hot minute then use a sharp knife to slice them lengthwise and stuff them with your favorite colorful veggies. I chose roasted onions, a red bell pepper, dinosaur kale, grape tomatoes, purple cabbage (my favorite), scallions, fresh cilantro, sea salt and pepper. Boom. That’s it. Perfection. These spuds are incredible. I know you’re going to love them! Free of gluten, dairy, soy, eggs. Vegetarian. Preheat oven to 375 degrees F. Prepare two baking sheets with parchment paper. Lay the sweet potatoes on one baking sheet and the onion slices in a single layer on the other baking sheet. Poke holes using a fork in the sweet potato. Then rub 1 Tbsp. of oil on the onion slices and sprinkle with sea salt and pepper. Take the remaining 1 Tbsp. in your hands and rub it on the two sweet potatoes to coat the potatoes. Bake the onions for 30 minutes or until golden brown; remove from the oven. 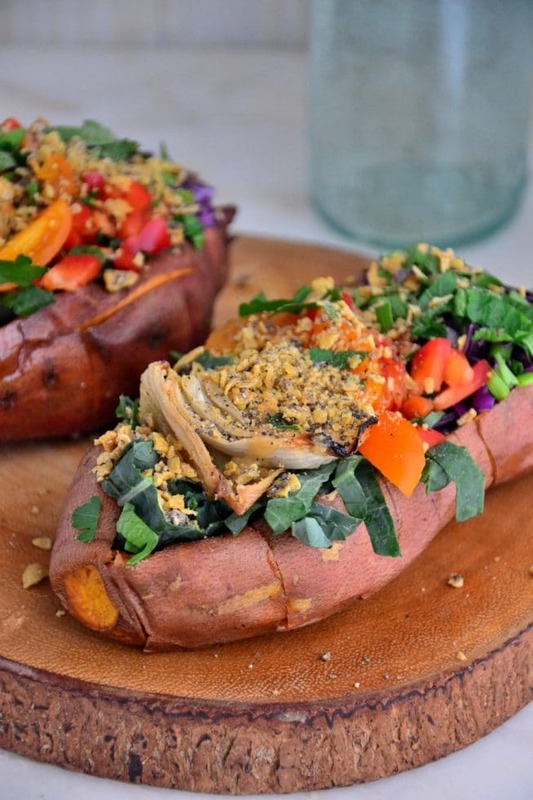 Bake the sweet potatoes for 40 minutes or until very tender to touch; remove from the oven. Allow the sweet potatoes to cool for 10 minutes, then slice them lengthwise with a sharp knife. Stuff each sweet potato with the cabbage, kale, bell pepper, tomatoes, Nature's Path crushed cereal crumbs, scallion and parsley. Season to taste with salt and pepper and serve immediately. Drizzle additional oil over the sweet potatoes, if desired for serving. 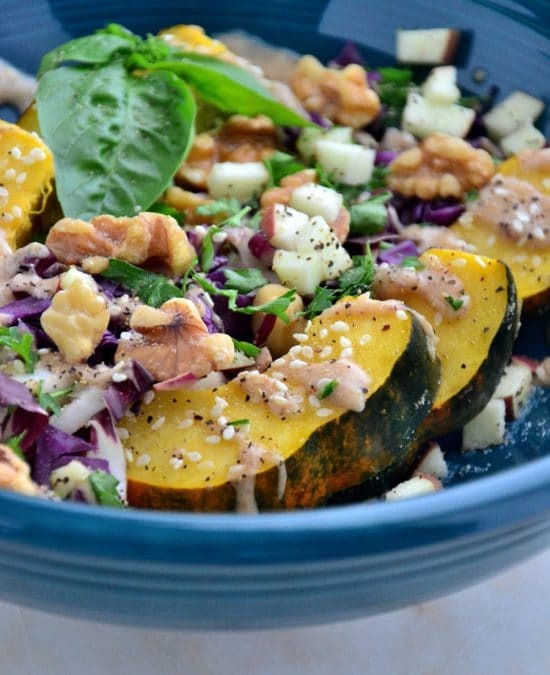 This looks totally delicious and super healthy! I am going to have to try this soon. Thanks for this great post and awesome website. I also appreciate that you share your health story which helps me and many others.